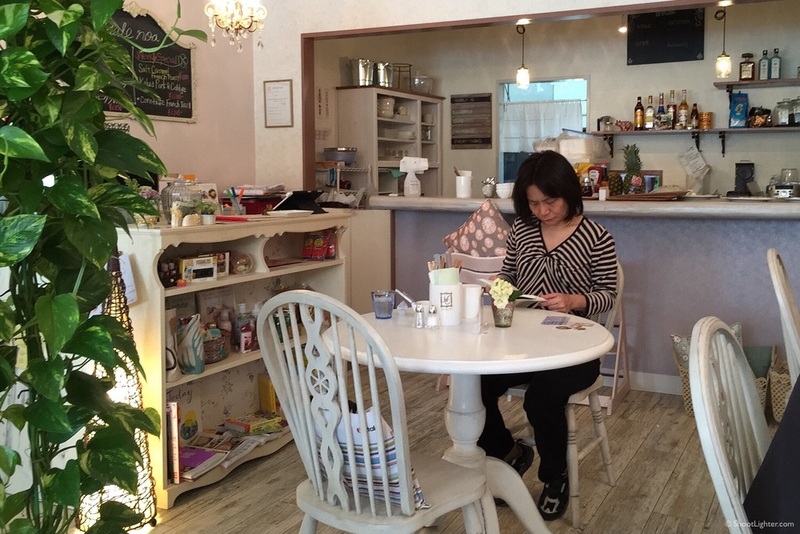 This weekend my family and I tried the new Hale Noa Cafe in Chatan. 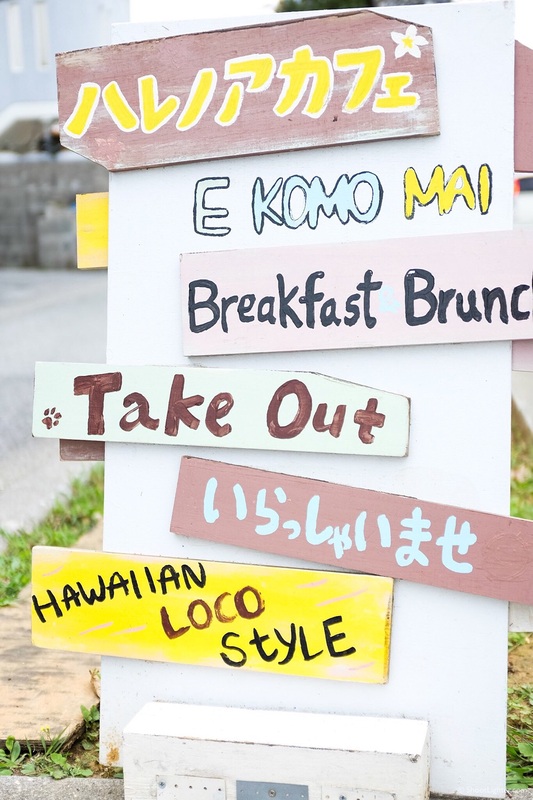 The cafe is located near the entrance to Araha Beach, and next door to the Okinawan chain restaurant Chirugwa. My wife had driven by a couple days earlier, noticed Salted Caramel French Toast on their weekly special board outside, and we had to try it out. I'm so glad we did too as it turned out to be a great little breakfast spot, something that is in short supply here in Okinawa. 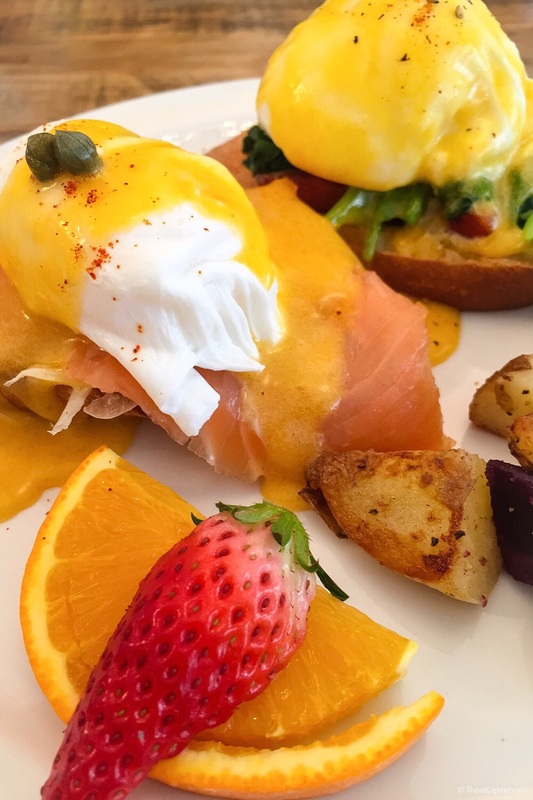 All the western breakfast staples are there; Eggs and Bacon or sausage, Omelettes, Pancakes and French Toast, but they also serve a variety of amazing Eggs Benedict on French Baguette toasted bread with homemade hollandaise sauce. I chose the combo Apple Bacon/Smoked Salmon Eggs Benedict. I love that you can pick two different versions, great for food tasting at a new restaurant. iPhone 6 Plus, ISO100, f/2.2, 1/20 sec. Edited in Photoshop Express for iPhone. The breakfast potatoes where perfectly cooked and not dry as they sometimes are at other restaurants. I enjoyed having the eggs over the toasted French Baggets, as opposed to an English muffin like Eggs Benedict is usually served, and the homemade hollandaise sauce was awesome. iPhone 6 Plus, ISO32, f/2.2, 1/20 sec. Edited in Photoshop Express for iPhone. iPhone 6 Plus, ISO40, f/2.2, 1/15 sec. Edited in Lightroom Mobile. iPhone 6 Plus, ISO32, f/2.2, 1/320 sec. Edited in Lightroom Mobile. My wife and I went back a couple days later for lunch. I had the Pulled Pork with Cabbage, and although it was a little salty for my taste, I still enjoyed it though. Fujifilm x100s, ISO2500, f/4, 1/125 sec. Edited in Photoshop Express on my iPhone 6 Plus. It was cloudy with little light coming inside the restaurant, ie: the high ISO. Open 8:00 - 4:00 Wednesday - Sunday. Closed Monday and Tuesday.